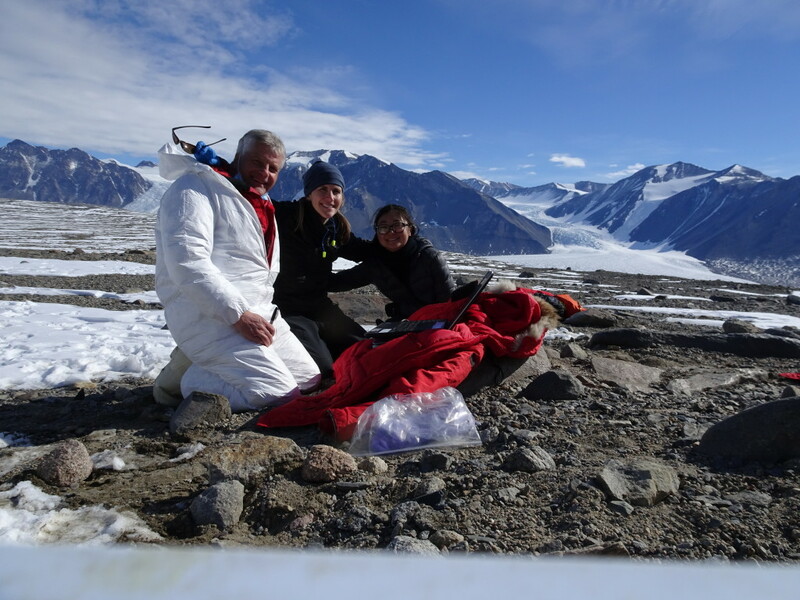 We’ve spent the last couple of days sequencing in the Dry Valleys, and we’re getting beautiful results! 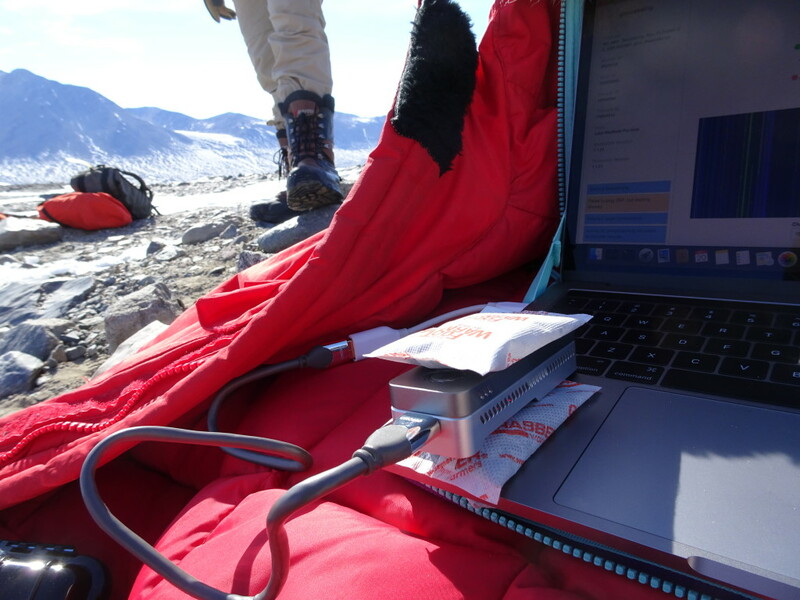 Our biggest concerns were library prep in the field and whether the tiny MinION would maintain temperature, but good weather and good hand warmers have averted any problems. We’re sequencing ancient microbial mats, some over 10,000 years old, and we’re getting astonishingly long reads, up to 68kb. Reads this long are certainly from viable cells, as ancient DNA floating around in the environment would be highly fragmented, even under these excellent preservation conditions. 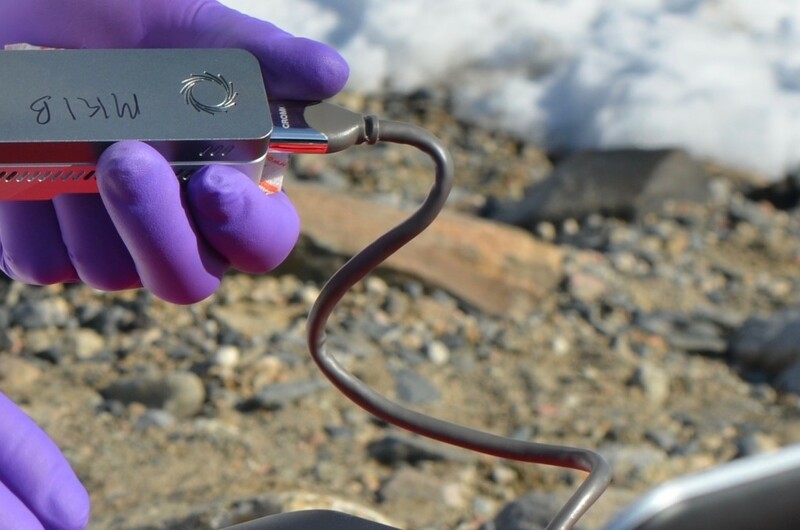 So who are these hardy microbes, and how are they surviving? We’ll be analyzing the data over the next few days and weeks… can’t wait to see what it tells us! Figure 1: MinION primed and ready to go. Figure 2: Hand warmers help! This entry was posted in Antarctica 2016 on December 23, 2016 by Sarah.